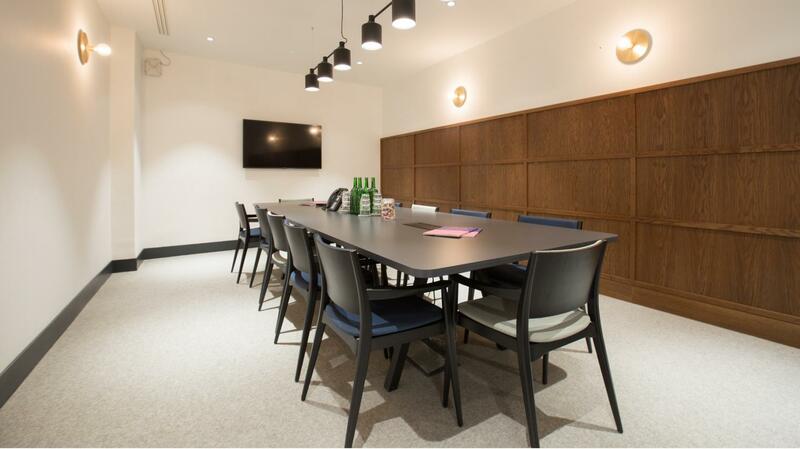 This 10 person room is a perfect space for a small meeting. Our team is on-hand to help you with anything you may need. Warnford provides a dedicated meeting and conference space. Positioned right in the heart of The City on Throgmorton Street, Warnford Court is a short walk from Bank, Moorgate and Liverpool Street Stations. Formerly the offices of The Stock Exchange, Scott Brownrigg architects have worked with us to retain many of the original 19th Century features whilst creating a contemporary modern environment.